What? 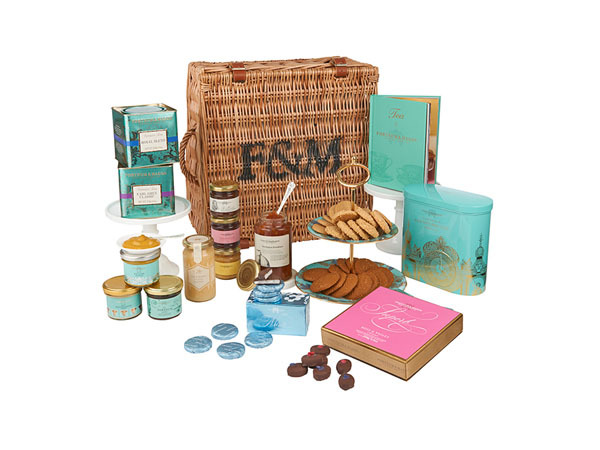 Deep down, we all think that it’s not quite Christmas until we’ve received a hamper of little edible treats to enjoy on Christmas morning, before the real feasting begins, so we’re quite taken with The English Essentials hamper from Fortnum & Mason. Condiments, biscuits, chocolates and tea, it’s the perfect little package to send to friends and family abroad this season. Priced at £100.